Stage 1: ECU Remap and Pulley upgrade +95 BHP +103 Nm Torque. C Class (W203) C240 170 BHP £POA Please contact us for more information. C Class (W203) C270 CDi 170 BHP £299 For newer Models with EDC16 ECU. Stage 1: ECU Remap +15 BHP +22 Nm Torque. 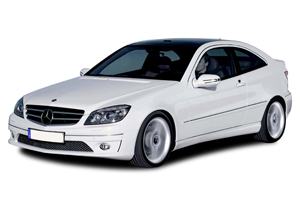 CLK (W208) CLK230 Kompressor 197 BHP £299 Stage 2 £999: Remap + Pulley +41 BHP +70 Nm Torque. Sprinter 208/308 CDi 82 BHP £299 Stage 1: ECU Remap +30 BHP +50 Nm Torque. Sprinter 209/309 CDi 88 BHP £299 Stage 1: ECU Remap +30 BHP +50 Nm Torque.